The National Complete Streets Coalition’s report, Dangerous by Design, is one of the most effective ways we have to make our streets safer for all people. However, we need your help to get this report into the hands of advocates who can help put it to use. With your help, the goal of creating streets that are safe for all users is in sight. 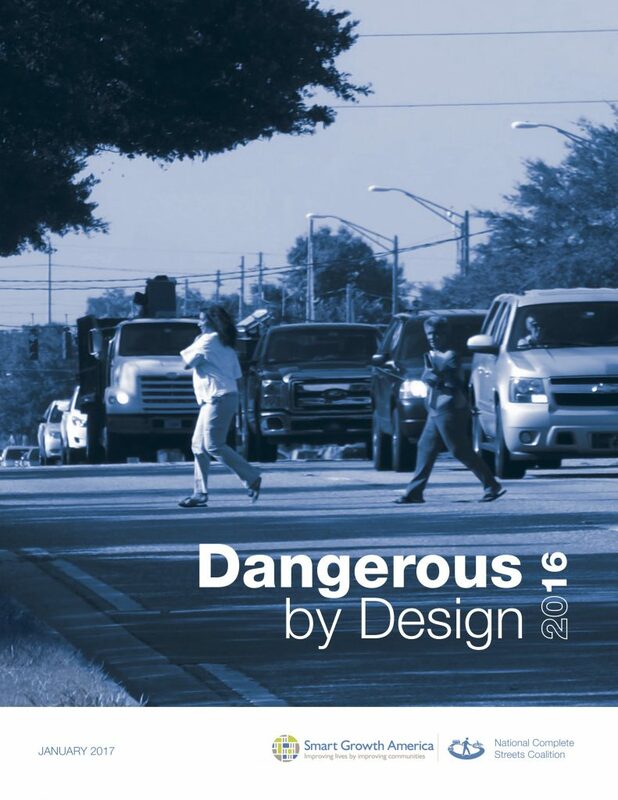 The last edition of Dangerous by Design was downloaded over 9,000 times, was mentioned by the press over 200 times and spurred the State of Florida to rewrite its highway design guidelines. Your support will help us achieve even more this year. Become an individual or institutional sponsor of Dangerous by Design now, and together we can keep fighting to continue the progress we’ve made. To become a sponsor by mail, please complete and submit this form along with a check to Smart Growth America at 1152 15th St NW Suite 450, Washington DC 20005. Donations will be used to support the development and distribution of the National Complete Streets Coalition’s 2018 edition of Dangerous by Design.